For more than 150 years, our industry has been a vital and vibrant part of Colorado’s way of life. Our goal at COGA is to ensure that our industry thrives statewide well into the future. With the support of our diverse and engaged membership, COGA promotes a stable and predictable regulatory and political environment for the entire oil and gas industry, who in turn employ and support more than 100,000 Coloradans and their families with good-paying jobs that boost our economy and benefit our communities. As the unified voice of the industry, COGA is the leading source of reliable and fact-based information for local elected leaders and staff, with a dedicated team that includes local community outreach and education, regulatory oversight, and legislative advocacy. Our association is at the forefront of the legal, legislative, and regulatory issues facing our member companies and is continually setting the benchmark for innovation and creativity in our education and outreach strategy. This means that every day COGA is proactively and effectively working to create a more stable and predictable regulatory and political environment for our members. We do that through rigorous regulatory engagement at the state and local level. We’re also committed to being a positive, credible, and proactive voice for industry, promoting respectful public dialogue, outreach and education, while pursuing an ambitious strategy to promote oil and gas interests across the state. With hundreds of member companies, representing tens of thousands of employees in Colorado, COGA is the state’s premier oil and gas trade association offering unparalleled access to industry expertise, collaborative outreach strategies, and professional networking. 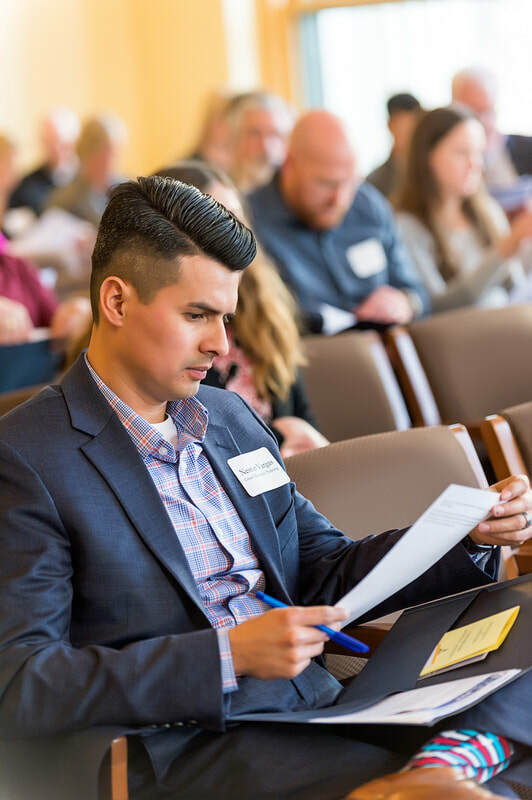 Your membership dues support COGA’s vision of maintaining a stable political and regulatory environment, authentic community partnerships, and a thriving oil and gas industry in Colorado. Your membership is an investment in our energy future. We take our charge and our mission seriously. Your COGA membership benefits extend to every employee within your company. From your accountant to your landman, when your company is a COGA member, your workforce has full access to all that COGA has to offer. Your company name can be referenced throughout the year to take advantage of committees, programs, and events. Company employees can attend members-only programming and utilize membership event registration rates. COGA utilizes its committees to provide critical member input and direction on COGA strategies and activities. They allow for member companies to contribute their perspectives and expertise to the organization’s efforts and allow for COGA to maintain a unified and thoughtful strategy on regulatory, legal, legislative, outreach, programming, and other issues. The online Membership Directory is an added benefit to the hundreds of member companies and thousands of employees represented by the association. COGA Members can submit upcoming public industry events and forums to be displayed and promoted across COGA communication channels including our Member Events Board on the website, as well as listed in our weekly COGA Newsletter! COGA is proud to continue to host the premier industry conference, The Energy Summit. All funds raised by the conference go back to the industry in the form of legislative, legal, and grassroots efforts that are at the core of COGA’s mission. After 30 years, this conference maintains a reputation for delivering thought-provoking and progressive content and offering the best networking opportunity in the Rockies. The Energy Summit conference is held annually in Denver, at the Colorado Convention Center. Ready to join the Colorado Oil & Gas Association? ​Our work is essential, and we invite you to be a part of it. Our memberships are company based and we have separate categories based upon the type of company. Dues for producers are based upon their annual production data supplied by the COGCC. Dues for other membership categories are assessed based on workforce size in Colorado. This includes midstream, downstream, and service companies, professional firms including law firms, accounting firms, PR firms, consulting firms and financial institutions, and operators without production in Colorado. We believe this is the best way to assess the size of this company type, and therefore their membership category within COGA. If you have any questions at all, please reach out to Christina Delpone, COGA's Member Engagement Coordinator, or 303-861-0362.